I don’t even know what to write here (which is a first) because the book was THAT good. It was written in such a way that you couldn’t help but get sucked into it and then you can’t put it down. Like I said, it is THAT good. You get introduced to the Bliss family in the first chapter of the book. Autopsy, Stella, Grand, Fielding and Aunt Fedelia. Autopsy is the local prosecutor for the town of Breathed, where this story takes place. Autopsy decided, one day, to write a letter to the devil inviting him to Breathed and posted it in the paper. And guess, what….a young boy claiming to be the devil showed up right before a major heat wave. This is where the story became very interesting. The author kept you guessing if Sal (Satan and Lucifer’s name combined) was the devil. He had insight about the different relationships that were going on in the town that no 13 year old should know. But he acted like how an abused 13-year-old should act. I never figured out if he was the devil or not. Strange events started happening every time Sal went into town. 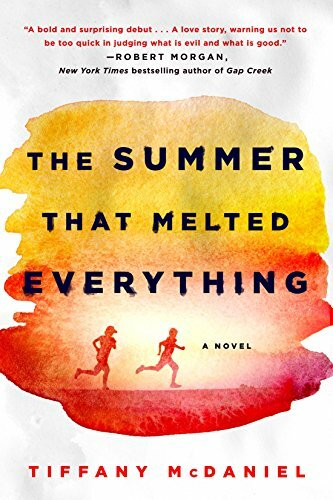 The heat kept rising, a woman has a tragic accident, a mob is incited…stuff along those lines. So, to keep him safe, he isn’t allowed out of the yard/house. The story is told in flashbacks from a 70 something-year-old Fielding. Who suffers survivor’s guilt. I don’t like it when books are told in flashbacks. You lose something from it. But in this case, it worked. I got to see the long-term damage that was caused by the events of that awful summer/fall and it is heartbreaking. The author did a perfect job of taking older Fielding’s memories and turning them into the story about younger Fielding. Now, there was a huge twist in the story that I kinda sorta saw coming but didn’t expect to be what it was. It involved Elohim, the midget and Fielding’s former mentor and Sal’s biggest enemy in town. I did a WTF when it was revealed. Why? This was a very well written book that will keep you glued to it until the very end. It will make you question things, make you laugh and make you cry.